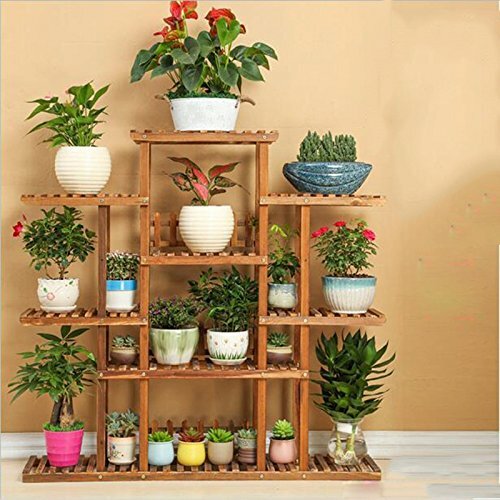 Wooden flower frame / balcony living room multi-storey indoor and outdoor flower pot rack / flower shelf ( Style : A ) by Flower racks at Tulips Orchids. Hurry! Limited time offer. Offer valid only while supplies last. Name: Flower standMaterial: woodSize: 118 * 115cmColor: Picture colorStyle: simple modernApplicable to the scene: suitable for home placesnote:1.